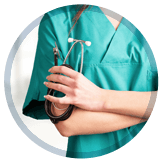 Our board-certified physicians specialize in every aspect of orthopedic medicine, including joint replacement, sports medicine, trauma, spine surgery, and more. Avoid the ER and get immediate care for acute orthopedic injuries like fractures, strains, and sprains. Open M-F from 8 am to 8 pm in Johnson City and Kingsport. 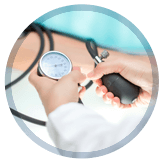 Access your medical records, schedule an appointment or view upcoming ones, request medication refills, or send a message to your doctor – all within our convenient patient portal. No more running around town for the services you need– we offer PRP therapy, physical therapy, MRI, X-ray, DME, and more at both our Johnson City and Kingsport offices. 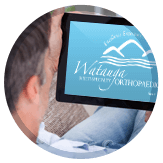 Watauga Orthopaedics has provided personalized and advanced bone and joint care to adults and children in northeast Tennessee since 1950. With the area's best orthopedic doctors and two locations in Johnson City and Kingsport, we provide the compassionate, comprehensive, and convenient care you want for yourself and your family. Our multi-specialty, fellowship-trained doctors deliver expert treatment for hip, knee, shoulder, hand, spine, foot, and ankle conditions. As the team physicians for Milligan College, Tusculum College, Johnson City Cardinals, Mountain Empire Warriors and many area high schools, Watauga Orthopaedics also leads the region in sports medicine. New advances in orthopedic care can mean less pain and shorter recovery times. Watauga Orthopaedics is the only practice in the Tri-Cities area currently offering PRP therapy for acute and chronic tendon and ligament injuries. 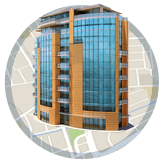 We also feature an orthopedic urgent care clinic at both locations for same-day treatment of acute injuries from 8 am to 8 pm, as well as on-site services including physical and occupational therapy, MRI, and DME. For unsurpassed care from the most capable and respected orthopedic surgeons in the Tri-Cities area, schedule an appointment online or give us call at (423) 282-9011. See what patients have to say about our providers and learn how we are actively involved in our local Tri-Cities communities, as well as communities abroad.